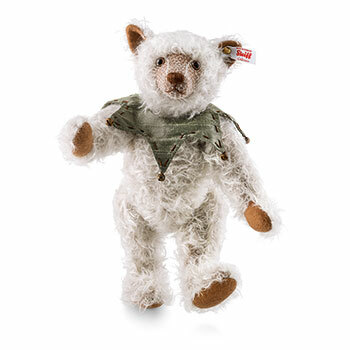 Steiff Artan Discounts Apply ! Made from The Finest High Quality Grey/Brown Mohair. Height 30 cm / 12 inches Approx. Nose, paws and inner ears are colour-matched to the bells. With his slightly pointed elflike ears you wonder whether Artan is a bear or a Christmas elf? In any case he is enigmatic: as mysterious as the festival which we fill with new life every year.